Stephen H. Knee, of counsel to the firm’s Corporate Department, is the author of “Business Divorce: Understanding Its Dynamics and Formulating Solutions,” which has just been published by the American Bar Association. 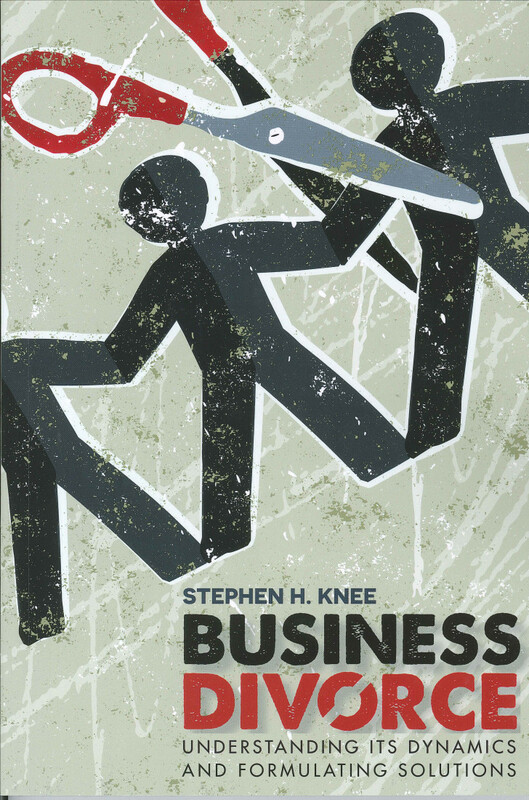 This book offers an overview of the practical, legal, and psychological issues most commonly present in a business breakup, as well as methods of resolution and preventative approaches to the problem. It is an ideal reference for anyone working with clients in closely held businesses—partnerships, limited partnerships, limited liability partnerships, limited liability limited partnerships, limited liability companies, and corporations. Mr. Knee has practiced law for nearly five decades. He concentrates his practice in mergers and acquisitions, mediation, corporate law and general business counseling, corporate governance issues, post-acquisition business disputes and business divorces. He serves as outside general counsel for middle market businesses and represents corporations, partnerships, limited partnerships, limited liability companies and other business entities in all forms of business transactions. He also represents lenders in commercial financial transactions and secured and unsecured creditors in workouts and bankruptcy proceedings. Mr. Knee is an adjunct professor at Seton Hall University School of Law. He is Director emeritus and former director and chair of the New Jersey State Bar Association Business Law Section.